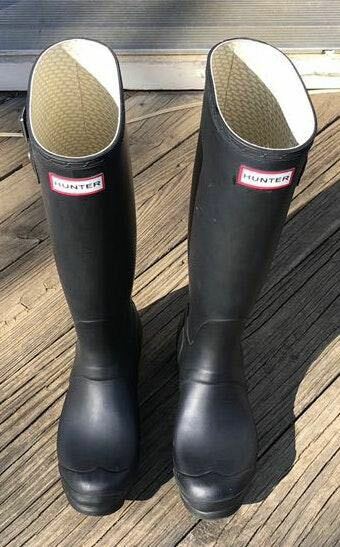 Lightly used hunter boots! Tall matte in black. Bought from Nordstroms two years ago. Some white specks on the back. Other than that they are like new!